Cook moong dal using cooker or stove top and keep aside. In a pan take 2 cups of water and bring it to boil. Once boiled add rava and cook till done. Add salt , cooked moong dal and mix well. 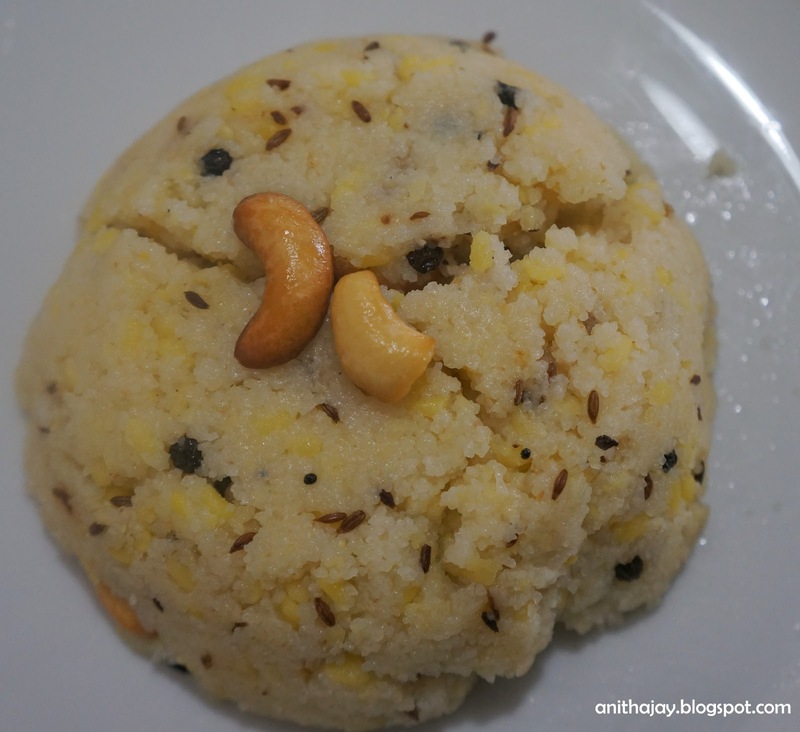 In a pan, add ghee ,roast cashew and add to pongal. In a same pan add pepper,cumin seeds,ginger and curry leaves. Once splutter add this mixture to pongal. My fav breakfast with chutney and sambhar,love it very much.